Amanda grew up on a fruit and vegetable farm in Marietta, Ohio, with the family’s main crop being a u-pick strawberry operation. The farm has been in the Stacy family for over 110 years with Amanda and her two brothers being the 5th generation of the family on the farm. Growing up on the farm, Amanda was able to learn the ins and outs of growing produce as well as helping to manage the market and maintain an overall friendly atmosphere on the farm. Amanda attended Marietta College in Marietta, Ohio to obtain a Bachelor of Arts Degree, majoring in Psychology with minors in Business Management and Environmental Studies, in 2007, and a Master of Arts Degree in Psychology in 2008. 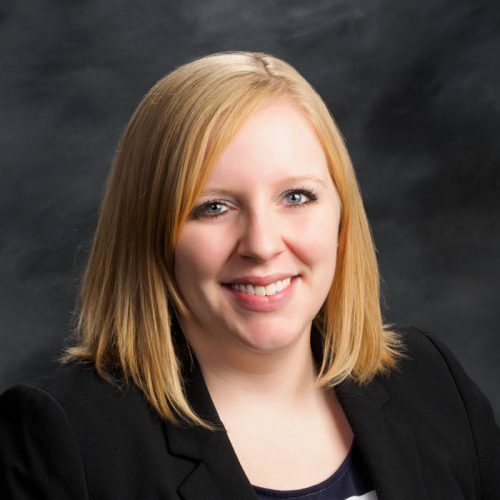 Following her time at Marietta College, Amanda attended Ohio Northern University Claude W. Pettit College of Law in Ada, Ohio where she earned her Juris Doctor degree. Prior to joining Barrett, Easterday, Cunningham & Eselgroth LLP in 2010, Amanda gained experience in the Hancock County Ohio Court of Common Pleas as a law clerk for the Honorable Joseph H. Niemeyer. When Amanda is not practicing law or attending conferences she enjoys spending time with her family, watching or participating in any sporting event and traveling.